With so much talk about electric and hybrid vehicles taking over the automotive landscape, either generally or even from muscle car makers themselves, its hard to not think about the V8 party being stopped in its tracks. However, things couldn’t be further from the truth. The new Corvette will soon showcase its new mid-engined C8, Dodge will move to a new platform in the next few years and the Mustang will migrate to the new CD6 platform as on the current Ford Explorer and Lincoln Aviator. 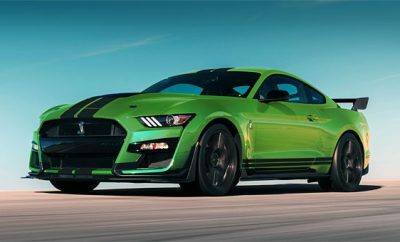 According to automobilemag.com the CD6 Mustang, under the codename of S650 may start production in 2026, while others say possibly 2028 or 2029 under the codename of S650. It makes sense to put the Explorer, Aviator and Mustang on the same platform to make the Mustang cost-effective, but that also means the Mustang will be a larger vehicle, more like the current Dodge Challenger in size. Certain components can’t be scaled down from the current Mustang, but a longer wheelbase would provide more ‘EPA fuel-mileage leeway.’ As for the current S550 Mustang, it will most likely have a major mid-cycle facelift with a new exterior and underbody changes. The mid-cycle D2C will also bring in a hybrid Mustang, possibly in 2022. There is no word as yet on what will happen with a future Chevrolet Camaro, but at least the Challenger and Charger are due for a platform shakeup in the next few years. This all means that hybrids, re-designs and platform changes are in the works, but there’s no sign of the V8 going away any time soon, or at least in the next decade. Which Muscle Car Was The Best Seller In 2018?